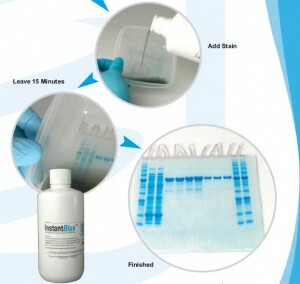 InstantBlue – The 15 minute protein gel stain – With no destaining needed – simply add to gel and watch bands appear! 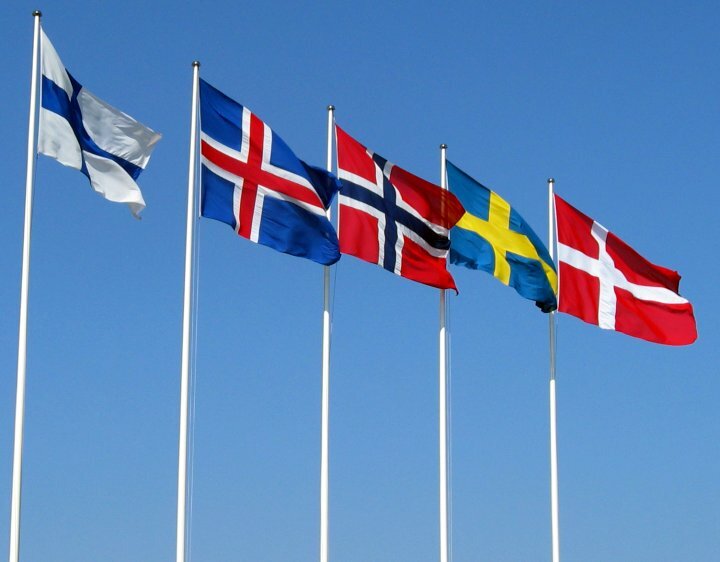 Feel free to contact our local product specialist for more informations, samples and quotes. The gel matrix is so strong that the gel can even be thrown in the air and caught without tearing! 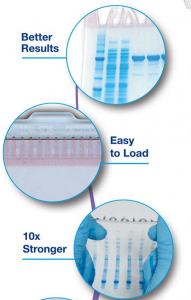 Expedeon’s InstantBlue is the only true single step Coomassie based gel stain available. Simple take the gel from it’s cassette, put in stain and leave. No need for washing, microwaving or destaining. All bands will be visible within 15 Minutes. 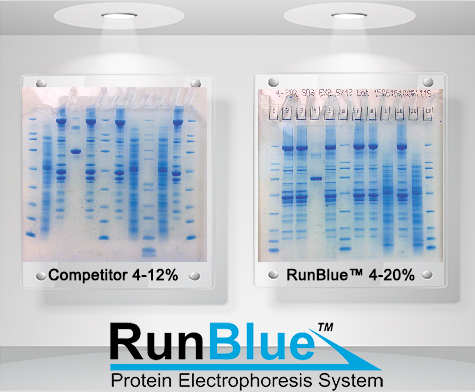 Gels can be left in InstantBlue indefinitely without any chance of background staining. InstantBlue is non-toxic and compatible with Mass Spectroscopy analysis. 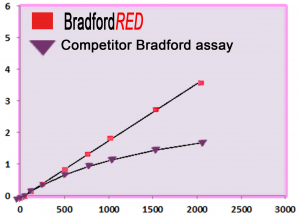 The new Bradford assay with extended dynamic range. The compact, bench-top Gelfree 8100 Fractionation Station provides specified voltage to each of eight independent channels and pauses for fraction collection according to user programming. Using the touch screen interface, the fractionation sequence is defined or selected, permitting broad mass range analyte fractionation or target protein enrichment in accordance with the users requirements. During operation, the touch screen interface provides feedback on the status and current/voltage that is applied for each channel.